“Ascot & Eyre” is a beautifully renovated four bedroom, two bathroom Victorian home with a modern interior that incorporates period features. Quality furniture and fittings, along with ducted central heating, gas log fireplace, air conditioning and NBN WiFi ensure your experience is cosy and comfortable. The amazing renovation showcases the size and personality of the home. The amazing new renovation showcases the size and personality of the home. The honey coloured Baltic pine floors reflect the deep skirting boards along the wide hallway. High ceilings, large windows and stained glass feature windows give a feeling of grandeur and opulence. 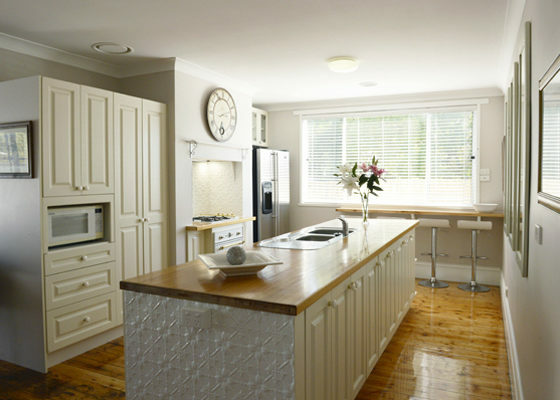 The Provincial chef’s kitchen features pressed metal splashback and solid Tasmanian Oak bench tops and breakfast bar. The antique-look off-white Ilve oven has been artfully set into the original fire place. Snug, carpeted bedrooms with queen size beds, quality linen and electric blankets cater for a good night’s sleep. All bedrooms feature huge, well-designed wardrobes. Desks in each bedroom allow executives to keep up with work commitments. You will find tables and chairs on the front veranda – relax with a beverage and watch the world go by. In the rear yard there is a decked area with barbeque, market umbrella and dining setting – plenty of space for private alfresco entertaining. Hidden at the side of the property is a shaded garden area – cozy up with a good book on a warm summer day. 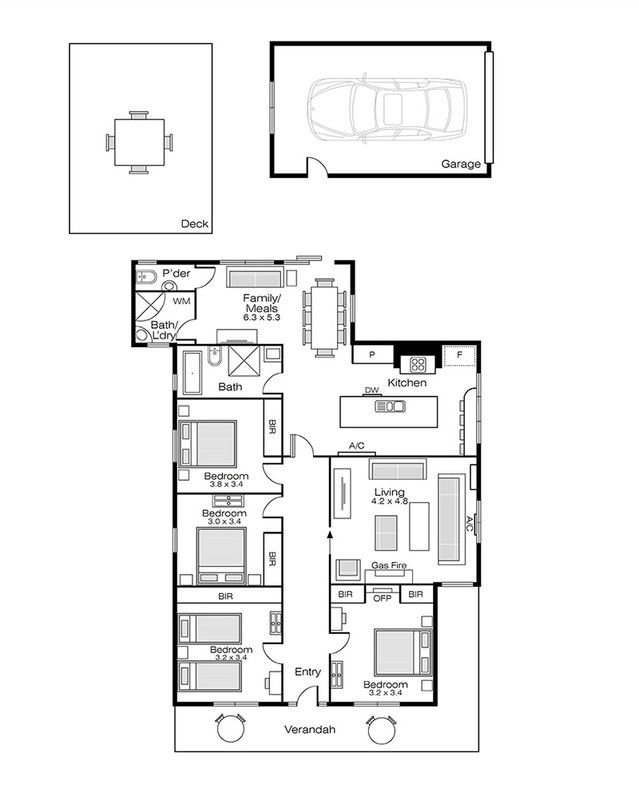 Off-street parking includes large single remote-entry garage and a second off-street parking space. On-street parking is available in the property’s two driveways. For total convenience the wonderful central location places you within two blocks of the main street (Sturt St). You are within four blocks of Ballarat’s hospitals, CBD, cafes, restaurants and shopping.